Built for the bold, DC Shoes craft the Court Graffik SE in a funky new colourway for the new season. 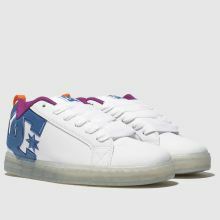 The white leather upper adds a premium vibe while a pink mesh lining and blue branding creates a strong look. 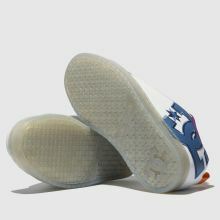 A transparent rubber cupsole completes.